Book Sky Studio & Get Free Upgrade to Beach Studio. 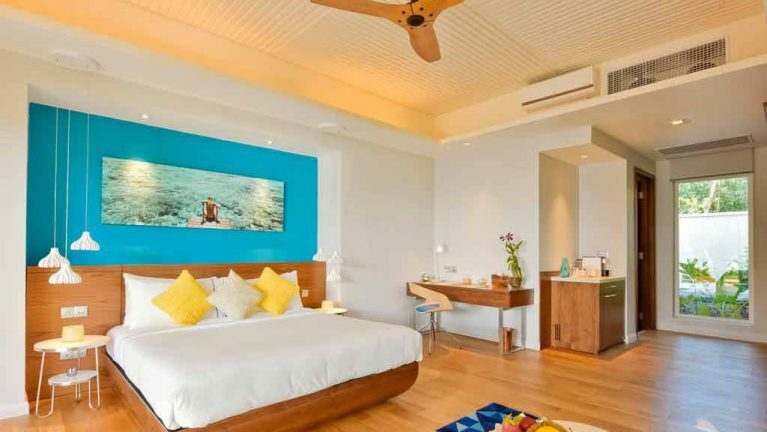 Book Beach Villa with Jacuzzi & Get Free Upgrade to Beach Pool Villa with Jacuzzi. Book Aqua Villa & Get Free Upgrade to Aqua Villa with Jacuzzi. Offer is not combinable with Early Booking Offer. Applicable only for all room types as stated in offer. Discount does not apply to 3rd Adult and also it not combine-able with other offers. Offer isn't applicable on Transfers or any other extra supplements. Book by Period: 30 October 2018 to 31 April 2019 Only. Stay Period: From 30th October 2018 to 23rd December 2019.